Here’s a skin that I’ve been hanging onto for a while. Set Coolplayer to always on top mode and keep this at the top of your screen. There, the mini mode doesn’t get in the way, but can be easily expanded when you need to use the advanced functions. 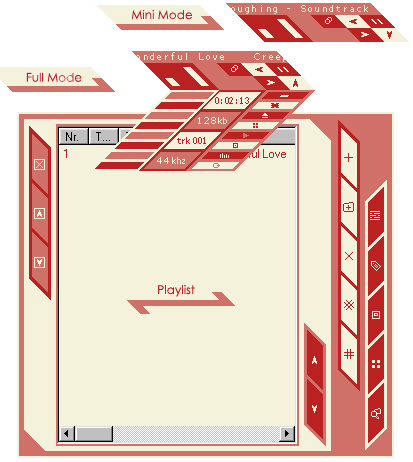 Playlist included, try resizing it for something unexpected. I’m not sure if that’s the best way to do it, please leave a comment if you have an opinion.